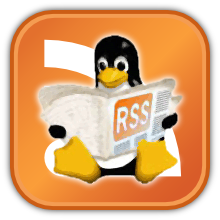 Home » Accessible Applications , Android , Apps , Blogger , BSD (Berkeley Software Distribution) , CentOS , Data storage , Docks Manager , Fedora , Red Hat , Scientific Distributions , Software Packages , Ubuntu » Top 10 blog posts for August 2014 from Linuxlandit & The Conqueror Penguin. Top 10 blog posts for August 2014 from Linuxlandit & The Conqueror Penguin. 1.- giFT plugin for Ares P2P network. 2.- Convert Audio / Video Files With Selene Media Encoder. 4.- Stellarium Landscapes: South America, Polar regions and Special. 5.- Stellarium Landscapes: North America. 7.- Stellarium Landscapes: Asia and Australasia. 10.- Roxen WebServer is a full-featured open-source web server distributed under the GPL license.